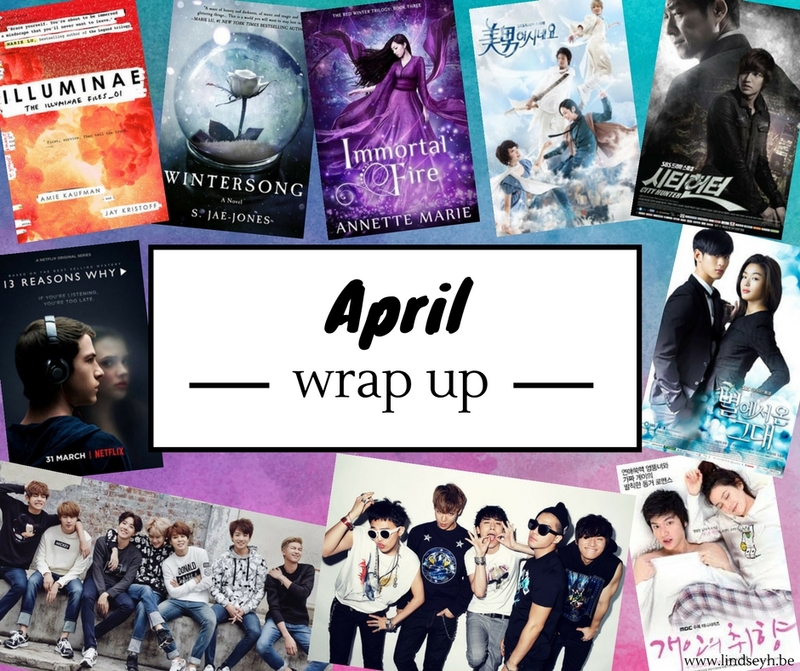 Hi and welcome to my April wrap up! Unfortunately my reading slump, which started in March, continued in April and as such, I only read 3 books. On the bright side, two of those books were five-star reads… I’m hoping they will have helped shake off this slump and I’m back on track for May. My blogging slump has also continued so I am sorry for the reduced number of posts and huge delays in commenting and job hopping. On the bright side, I did get a few posts up I loved working on, like my top ten fandoms or the pros and cons of telling people about your blog. So without further ado, let’s get into my April! I ADORE THIS SERIES. It is hands down my favorite discovery this year and I already know it will go down as one of my favorite series of 2017, and probably of all-time. Japanese mythology, an action-filled plot, lovable characters and a super swoony romance, I LOVE IT. Oh, and not to forget, absolutely gorgeous illustrations. This final part in the series was everything I could have hoped for. ALL THE STARS. Wintersong was one of my most anticipated reads of 2017, but sadly it didn’t quite live up to my expectations… though to be fair, this may be because I read it during the worst of my reading slump and it took me 4 weeks to finish. I did adore the beautiful writing, the big focus on music and the family bonds, but had a harder time with the main characters and the romance. Still eager to read book two though! This kpop boy band has been dominating my playlist for the past month. And more than just their music, I actually really adore all 5 boys, their personalities and their brotherhood. I can’t stop watching their music videos, live performances and interviews. Just my luck that I discovered them just when they are on a hiatus as a group at the moment but okay, at least I still have solo albums to look forward to. My favorite songs include Fantastic Baby, Bang Bang Bang, Fxxk It, We Like 2 Party, Monster, Last Dance and Blue. These guys. Truthfully I fell in love because I watched their dance practice videos and they are ON FIRE! I can’t take my eyes off of them. If you love dancing and choreography, I’d highly encourage you to look up some of their dance practices on Youtube, because they are amazing. Also, they are very active on social media and post a lot of behind-the-scenes footage and they are pretty much hilarious. My favorite songs right now are Blood, Sweat and Tears, Spring Day, Not Today, Save Me, Boy In Luv, Fire and Dope. Well, April has been pretty amazing because not one, but THREE of my all-time favorite bands have released new music. There is The Violence by Rise Against, Hard Times by Paramore and Young and Menace by Fall Out Boy. But… I’m not in love with any of them. I like them fine (better with each listen), but I don’t have the urge to play the songs on repeat all day, which I did have with their earlier music. Maybe they just need to grow on me a bit more though. My very first kdrama was about a nun-in-training who helps out her twin brother when he’s in trouble by pretending to be him and joining a popular kpop boy band. GENIUS, if you ask me. 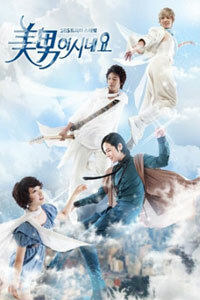 I absolutely adored this drama and am already itching to watch it again. My only nitpick would be that I would have loved a little more focus on the boys and their friendship. Other than that, this was gold. This was a very action-filled kdrama in which a young man is out for revenge on the corrupt politicians who are responsible for the death of his father. 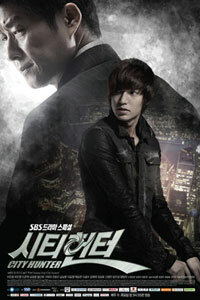 So he becomes a city hunter to expose their corruption and get them to pay for their crimes. This was my first kdrama featuring Lee Min Ho, who has immediately become my favorite kdrama actor. I adored this series as well and my only nitpick would be that the ending was a little rushed. Another kdrama, another hit in my eyes. This one’s about a 400-year old alien who lives on earth pretending to be a regular human. But just three months before he’s supposed to return to his planet, he meets and falls in love with a popular actress. He then not only becomes her manager, but he also get caught up in a murder mystery. Seriously, where do they come up with these genius ideas? Because I was in need of more Lee Min Ho, I then proceeded to watch Personal Taste. In this one, a man pretends to be gay so he can move in with a woman who could help him win an important work-related project, but of course ends up falling for her. The premise is a little weird, but I ended up loving it anyway. Up to my next Lee Min Ho drama soon! This has been the most-talked about series of the month, and even though I wanted to read the book first, I just couldn’t stop myself and started watching the show. Because of the heavy subject matter, I couldn’t binge-watch it and instead spread it out over the entire month. I know this has some extremely mixed reviews, with people either loving and praising it, or hating it because of problematic content. I personally loved the show, but I also completely understand the people who dislike it and call it problematic. I think it is definitely triggering, has some big issues and can actually be harmful for some people, but on the other hand, I also think it has some great positive messages as well, so it could also be helpful for others. So I’d suggest to be super cautious if you want to watch it, definitely read up on some opinions, both good and bad, and decide based on that information whether or not you’re up to watching this. One thing I can say is that the acting in this was absolutely amazing and the cast was just super talented. Also, it helps open up the discussion on some big and important topics. Well, it’s getting incredibly frustrating to have to repeat myself here, but: I continued my job hunt with no luck so far. Just disappointment. I had an interview for a job I was super excited for and got selected to go to the final rounds of interviews. For this, I had to prepare a short presentation. I put all my time and effort into this and wasn’t able to think about or focus on anything else for days. Then I did the presentation, was told it was outstanding and was told I’d hear back from them soon… which I did, when they informed me they decided to go with another candidate who fit the job just a bit more. I know it happens and I shouldn’t let it get to me, but it’s still unbelievably frustrating. I need a job and I need it soon. Sitting around alone all day is getting me down, and that’s coming from someone who usually LOVES alone-time. How was your April? What did you read? What did you listen to and what did you watch? And what are your plans for May? YAY for reading Illuminae. Glad you loved it!! 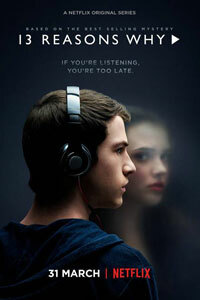 I agree with your thoughts on 13 Reasons Why – I liked it a lot but get the issues surrounding it. Hope you get out of your slump! 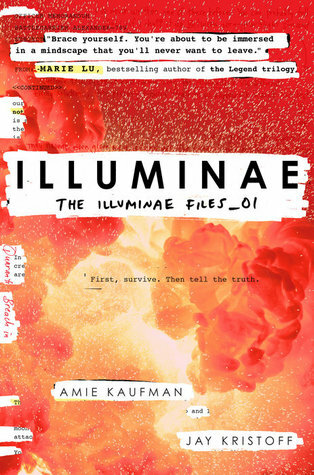 Haha, yay, FINALLY I got to Illuminae 🙂 Definitely loved it so much, can’t wait to read Gemina! I’m sorry about the job hunt, but I’m glad there were things to make you happy in April! Even little things can make a big difference! Sorry about your slump. But it’s nice that even if you’re not reading much, you read two really great books! I think I’d take that over 9 books that were just meh. And sorry about the job hunt – I think a lot of us can relate to that. So best of luck with that going into May! I’m looking forward to eventually getting to 13 Reasons Why. I had a lot of problems with the book, so I’m hoping I get into the show a little bit more. Glad you enjoyed it! I hope you’ll enjoy the show more than the book! I haven’t read the book so I can’t say anything about that, but I did enjoy the show, despite the issues, and I don’t think I’ll still be picking up the book now. I keep hearing lots of mixed reviews about 13 Reasons Why as well. I still think I’m going to watch it, even though I haven’t read the book yet. I’m kind of in that ‘I really want to see what people are talking about’ phase with it. I’m sorry to hear about the job hunt struggles. Hopefully you’ll have better luck this month. Yes, that was my thought process as well! It was just about everywhere, so I wanted to know what it was about and couldn’t wait until I read the book anymore. I don’t think I’ll still read the book now, but I did enjoy the show. Sending luck for the job hunt. At least you are having fun for the sake of your sanity while the wait continues. I haven’t watched 13 Reasons because it is so hyped but I do have it on my list. Loved the vids. I love the sense of style. 13 Reasons was definitely super hyped this month, it was EVERYWHERE. 13 Reasons Why is definitely one of those series you have to be emotionally prepared for. Each episode is pretty tough, and especially the later ones… I cried my eyes out. Hope you’ll have an amazing May as well! I’m so so so happy you enjoyed Illuminae, Lindsey 😀 😀 I can’t wait for you to read Gemina!!!! Totally feel you on the new Paramore/FOB songs. There’s just something off about them :/ They seem way too overproduced. I’m still holding out hope for the albums though. Yes, exactly, they feel overproduced! They just don’t feel like Paramore or FOB to me, but maybe I’m just too stuck in the past… Either way, I’m also still looking forward to the albums. Tasya recently posted…Prequels, Sequels, and Novella – Are the Authors Milking or Expanding the Series?